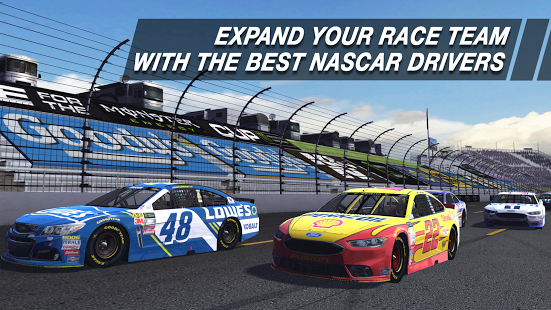 Put yourself in the driver's seat and experience the fast-paced thrills of NASCAR as you race from coast to coast on all 23 iconic NASCAR tracks. Customize the way you race with tilt or touch controls, fine-tune steering assists and sensitivity adjustments, and change camera angles to drive your way. From Ferris Wheels and Blimps to Hot Dog Carts and Fuel Stations, you can customize your Fan Zone with 35+ buildings and decorations. 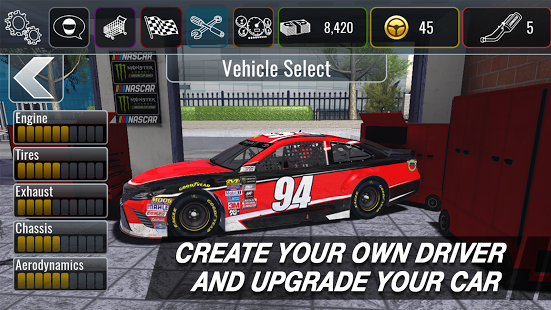 Whether it's cutting down installation time in the garage, reducing R&D costs, or earning in-game currency, each building has a special reward as you embark to make history on the track. 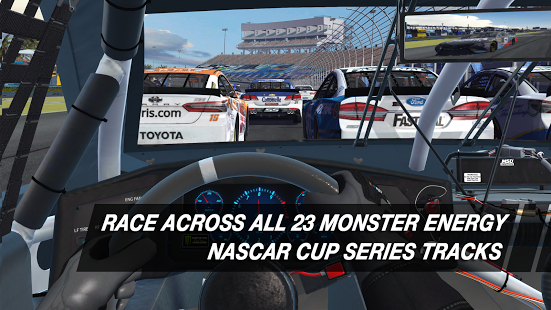 NASCAR (r) is a registered trademark of the National Association for Stock Car Racing, Inc. and used under license. All other car, team and driver images, track names, trademarks and other intellectual property are used under license from their respective owner. (c) 2017 704 Games Company. 704Games is a trademark of 704 Games Company. All rights reserved.